The MTEC Other Transactions Agreement was signed just six months ago and you can see by the metrics above we have had wonderful success! MTEC’s inaugural research opportunity has been a success, due in large part to the interest and commitment of our members! We will be sending a survey to all members at the conclusion of the Regenerative Medicine award cycle to get membership's perspective on the solicitation process and recommendations for adjustments going forward. I have enjoyed meeting members at our first MTEC Membership meeting and working with the proposers over the course of the first research cycle, and look forward to working with all of you on future research opportunities. Our second solicitation, the Brain Machine Interface Prototype Development for Vision Restoration, was released on June 6th. This solicitation is focused on the clinical, prototyping and manufacturing needs to develop a visual prosthesis that addresses capability gaps for vision restoration and rehabilitation. The solicitation due date is August 22, 2016. We will be unveiling our Annual Solicitation Cycle Plan at MHSRS in Orlando (more information below)! We invite you to join us for the presentation and welcome you to stop by the MTEC Briefing Room or Exhibit Booth, both open throughout the MHSRS. MTEC will be unveiling our Annual Solicitation Cycle Plan at the Mi litary Health System Research Symposium in Orlando, FL. If you are unable to attend, we will be hosting a webinar to review the Solicitation Plan. We will post the date and time via emails and on the MTEC website. 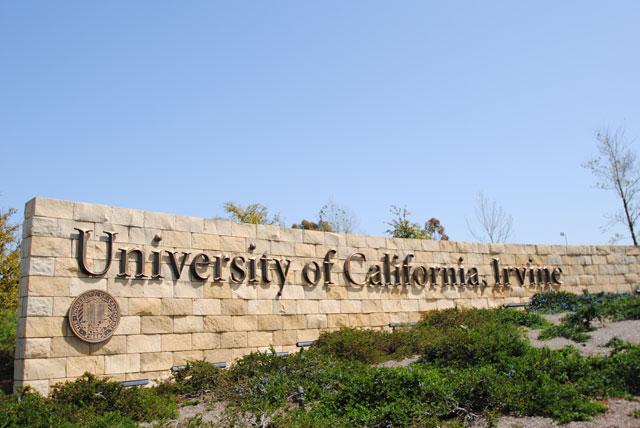 Founded in 1965, the University of California - Irvine (UCI) is the youngest member of the prestigious Association of American Universities. The campus has produced three Nobel laureates and is known for its academic achievement, premier research, innovation and anteater mascot. Led by Chancellor Howard Gillman, UCI has more than 30,000 students and offers 192 degree programs. It’s located in one of the world’s safest and most economically vibrant communities. It is Orange County’s second-largest employer, contributing $4.8 billion annually to the local economy. 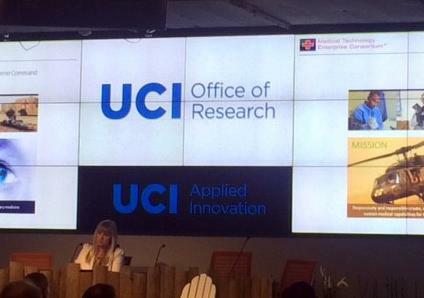 The Office of Research and UCI Applied Innovation hosted a MTEC Lunch & Learn on June 21st. Over 150 attendees from academia, industry and not-for-profit organizations came to “The Cove” center at UCI to get an understanding of MTEC's public-private partnership, the project solicitation process, and the consortium’s unique capabilities. The discussion was led by Dr. JB Phillips, Program Manager, Medical Technology Support Center, US Army Medical Research & Materiel Command, Polly Graham, MTEC Program Manager and Stacey Lindbergh, MTEC Executive Director. After the event, Bruce Tromberg, Director of UCI's Beckman Laser Institute (BLI), provided Ms. Lindbergh a tour of the impressive research being conducted in one of the world’s leading interdisciplinary centers for Biomedical Optics. UCI is home to one of the five national Beckman Institutes that are dedicated to cutting-edge research surrounding physical science, engineering and biology. 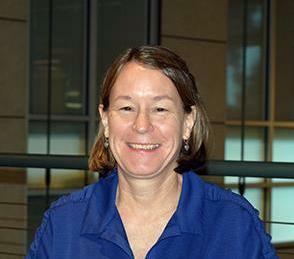 MTEC Executive Director at the Lunch & Learn hosted by UCI on June 21st. MTEC Is Now a 501c3! What does it mean? How will it work? The Internal Revenue Service has approved MTEC’s application for tax exemption. 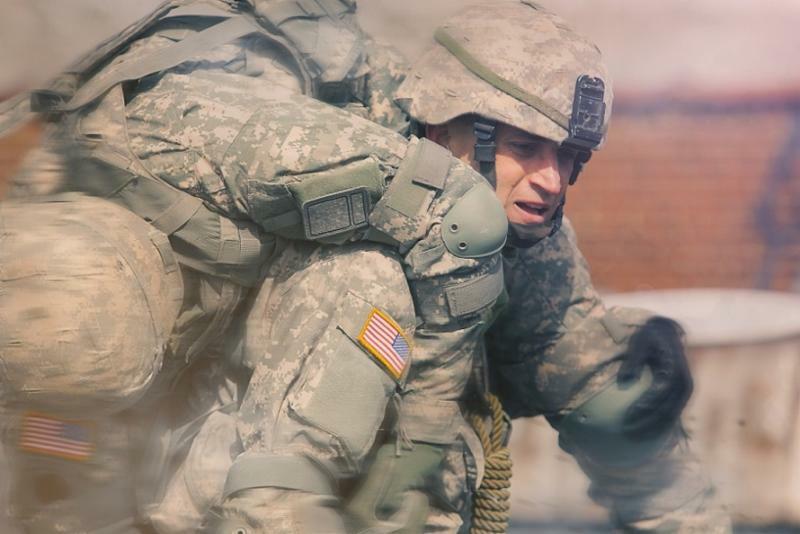 This first-of-its-kind public-private partnership, conceived by the U.S. Army Medical Research and Materiel Command (USAMRMC), is focused on ensuring quick and efficient delivery of critical medical technologies to the warfighter and the general public. With the 501c3 approval, MTEC now has an authorized mechanism for accepting private sector tax deductible contributions in support of USAMRMC's medical research and development priorities. MTEC is now poised to be a full participant in the philanthropic landscape, both for general support to veterans and specific support for research areas. MTEC can leverage private support with public resources, build partnerships between research and commercial capacity for dual use technologies, and allow philanthropists to find a “home” that is consistent with their research support priorities and specific interests. If your organization would like to donate or has a suggestion about an organization that may be interested in donating to MTEC's mission to protect, treat and optimize our warfighter's health, please contact Stacey Lindbergh , MTEC Executive Director . “MTEC’s recognition as a tax exempt organization will further its goal of augmenting federal research funding. Its 501c3 status will increase opportunities to secure funding through private sources of funding such as foundations, impact investors and other private organizations and individuals,"